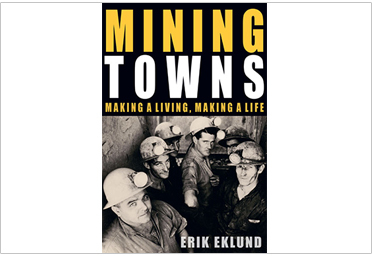 Reviews of books related to Australian mining history and heritage are added by members. 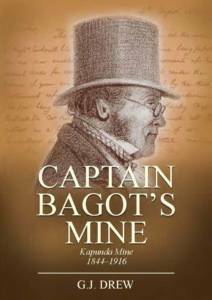 The Webmaster welcomes relevant new book releases and reviews from members and others interested in mining history. Active items may remain indefinitely. They are arranged in date order. 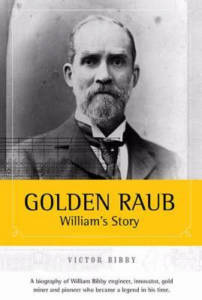 William’s Story: The Life and times of William Bibby, Australian Goldminer, Engineer and Pioneer.Sid Harta Publishers, Melbourne, Biographical, 550 pp., approx, paperback B5 $29.95. To order contact Sid Harta or Victor Bibby. Unmarked and forgotten graves, an old pickle jar, a stamp shoe worn to a slipper, abandoned mines in Victoria and remotest Queensland, floods and rebellion. All are stops and clues along the way as Victor Bibby treads in the footsteps of a gold mining pioneer to discover long-lost relatives and the truths about his own family. Bringing alive an historical account of life on the goldfields and events that made colonial history. A fascinating tale of a toolmaker from industrial England who created a new life in Australia as an engineer, innovator and gold miner before struggling against the odds to find fame and fortune as a mining pioneer in the Malayan jungle. chapter available) or as a PDF that can be read on any computer. For the downloadable PDF, email wfahey@bigpond.net.au. 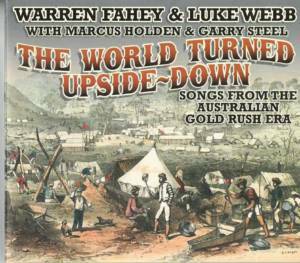 Fahey is a well-known folklorist and performer of traditional Australian folk songs. The book has wonderful stories about the chaos of the first rushes, emigration, life on the goldfields, authority, bushranging and the later company mines. Over 135 songs, many newly discovered by Fahey, plus many great images from the archives. The e-book has bonus audio tracks, including some from Fahey’s early collecting period. AMHA members purchasing the PDF will also receive some bonus audio tracks. Barry Sykes, 2012. Barry Sykes, Traralgon, 895 pp., approx. 2000 ill., maps, photos, A4, $80 plus postage. To order contact Barry Sykes directly (basykes@optusnet.com.au). This large and well-presented publication provides an encyclopaedic history of the South Gippsland area. 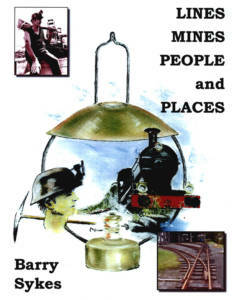 The first half covers the exploration of the area, and its social history, whilst the second half contains a detailed study of the coal mines and the railways that served them. It has no index, but instead has a greatly amplified Table of Contents which extends to over 10 pages for easier reference, and all footnotes are incorporated into the text. It contains an extensive Bibliography; and all sources of images are provided where known. Fred Cahir, 2012. ANU E Press and Aboriginal History Incorporated, 152 pp. 15 ill., print version $24.95. Order a print on demand copy. Also available as a FREE DOWNLOAD. 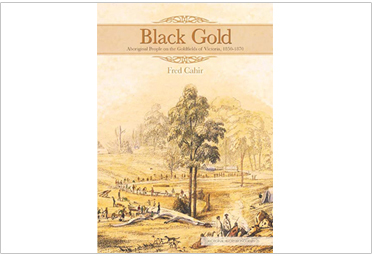 The first history of Aboriginal-white interaction on the Victorian goldfields, Black Gold offers new insights on one of the great epochs in Australian and world history-the gold story. In vivid detail, it describes how Aboriginal people often figured significantly in the search for gold and documents the devastating social impact of gold mining on Victorian Aboriginal communities. It reveals the complexity of their involvement from passive presence, to active discovery, to shunning the goldfields. Running through this book are themes of Aboriginal empowerment, identity, integration, resistance, social disruption and communication. Robert Porter, 2018, RPIR Cotham, 388 pp. 115 images, 6 maps. Limited print run. Price A$45 plus postage. Available through RPIR Book Sales. 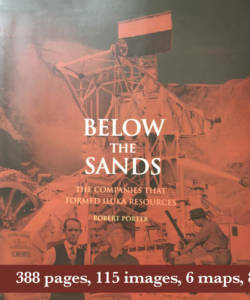 Below the Sands charts the formation of Iluka Resources in 1998, through the amalgamation of the lineage of two streams of companies: Consolidated Gold Fields Australia (CGFA) and then Renison Goldfields Consolidated (RGC), with Westralian Sands. The book conveys the complex and intriguing history of both sets of companies, including the events, which led RGC to have corporate raider, Hanson Plc, as its major shareholder. Westralian Sands approached Hanson suggesting an aggregation of the two companies and Iluka was formed in 1998. The book explores the lead up to these events and the post-acquisition period to 2015. 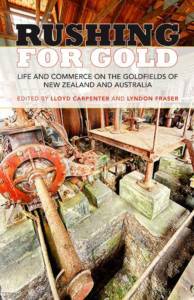 Lloyd Carpenter & Lyndon Fraser (Eds) 2016 Otago University Press 344 pp.